Today on the blog I have some Nail Art Challenges I've been taking part in on Instragram. 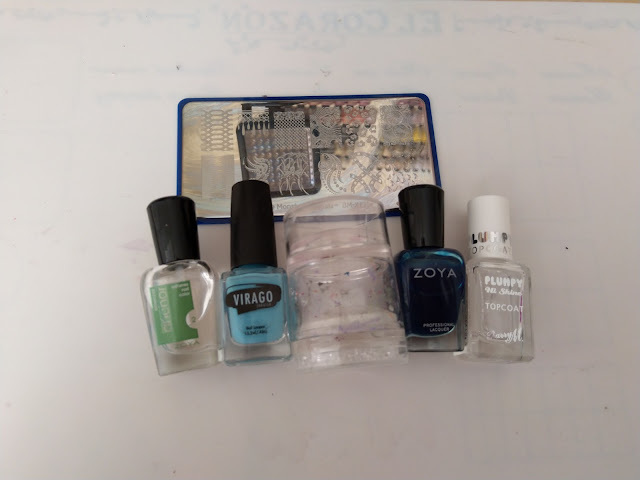 If you'd like to follow me there, I dont just post nail polish, theres cats and alsorts. 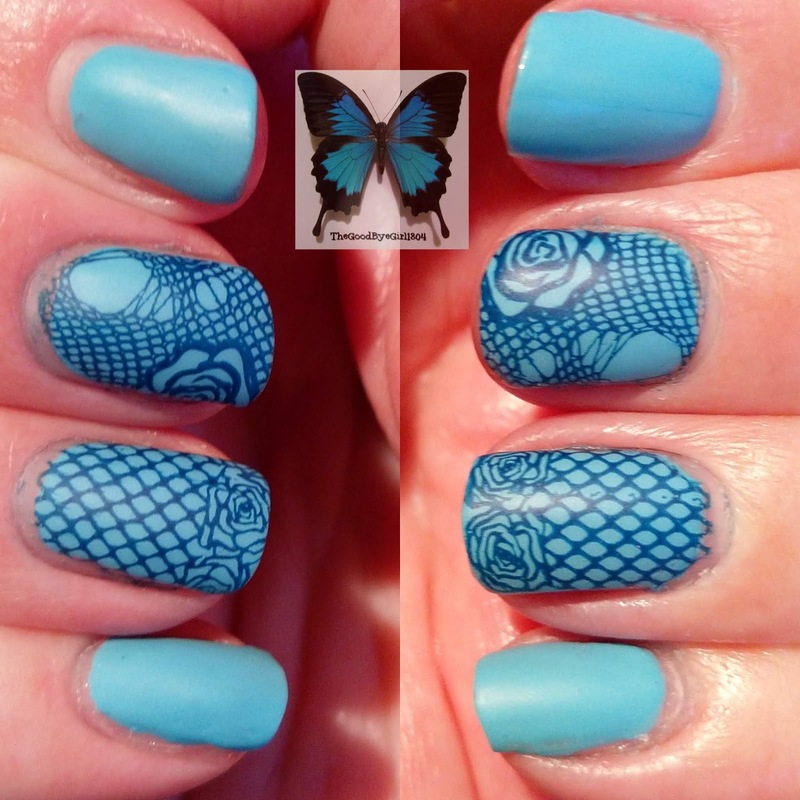 The first challenge for February was lace, so I started with a base of 2 coats of Virago Varnish She Cries Everyday, a lush bright pale blue. 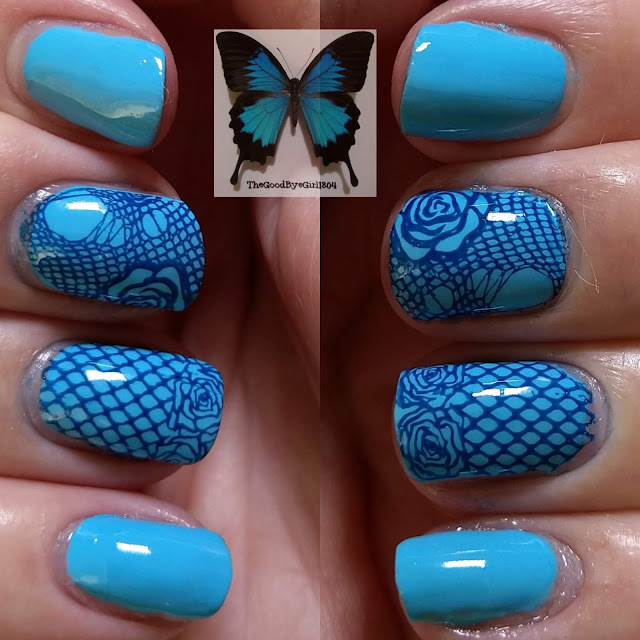 Then I grabbed my fav stamping plates from Maniology aka Bundle Monster as I knew of the perfect lace stamp, I love the ripped design with the rose and Zoya Ryan stamped like a dream, I much prefer having duel purpose polishes than buying into the whole *you must use stamping polish* thing, I own some actual stamping polish and quite frankly I wish I hadn't wasted the money on them. 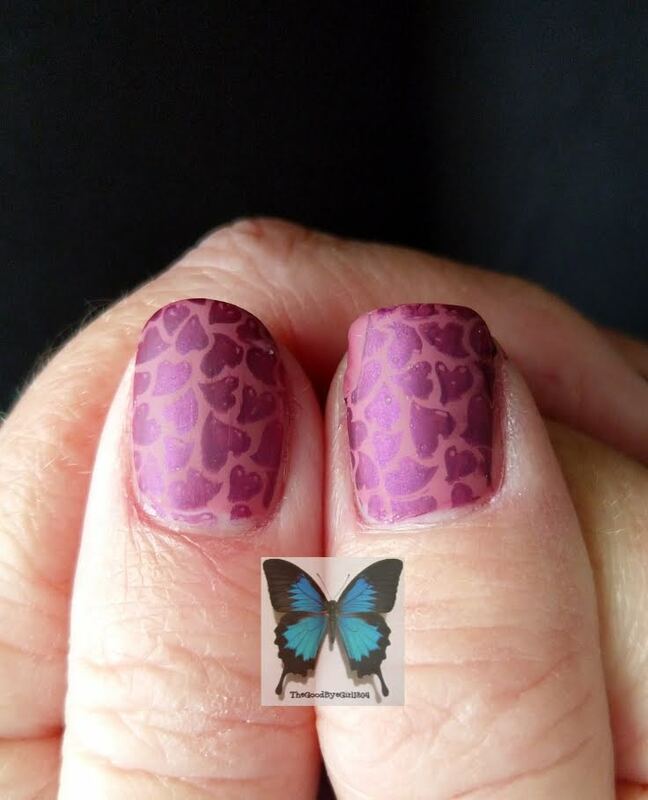 I topped my design off with Barry M Plumpy Topcoat, best drug store topcoat, its shiny it dries fast and it doesnt smudge stamping. Then I threw on matte topcoat, using Zoya Matte topcoat. 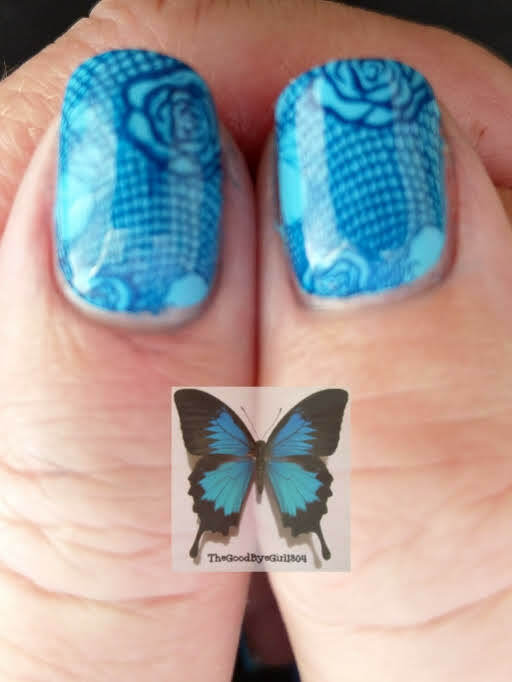 My stamper of choice is always the original Big Bling from Clear Jelly Stamper, mine is beat up but the heads are replaceable so its all good. Carries on after the pictures. The nest prompt for the challenge was Wedding, this was kinda tricky as well what does Wedding mean? Is it the flowers, rings, expressions of love? 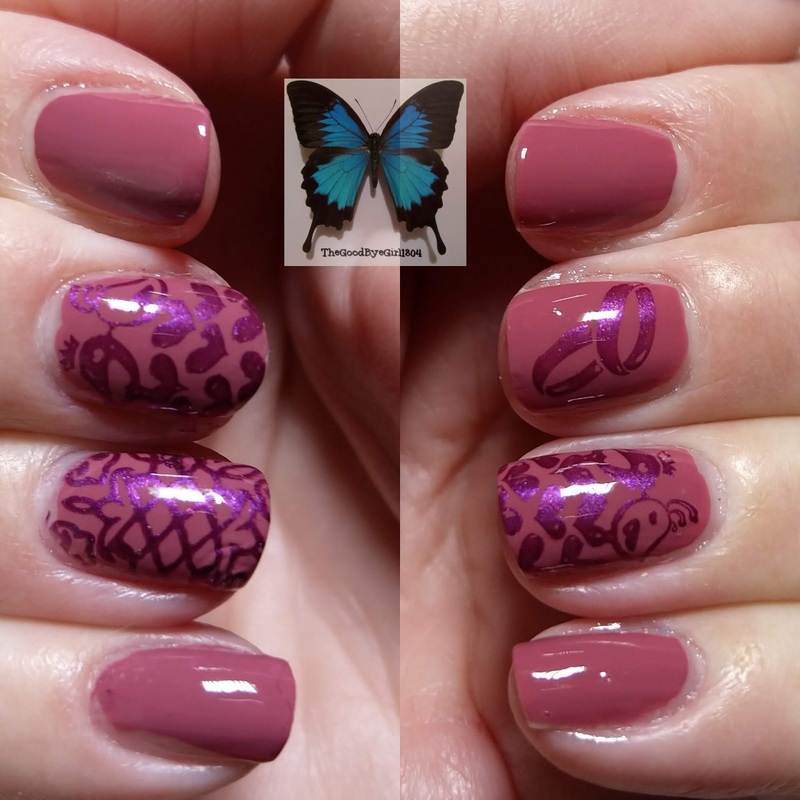 Who knows, I went with love birds, rings, hearts and abstract. 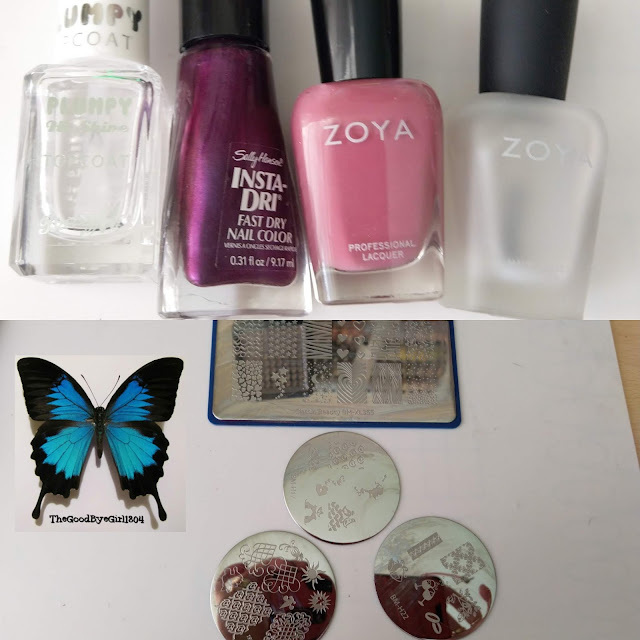 I started with a base of Zoya Anchor the only basecoat I use, then one sweet coat of Zoya Ruthie, this is a deep mauve pink I then grabbed various stamps from several different plates, 3 Maniology plates and 2 El Corazon plates. 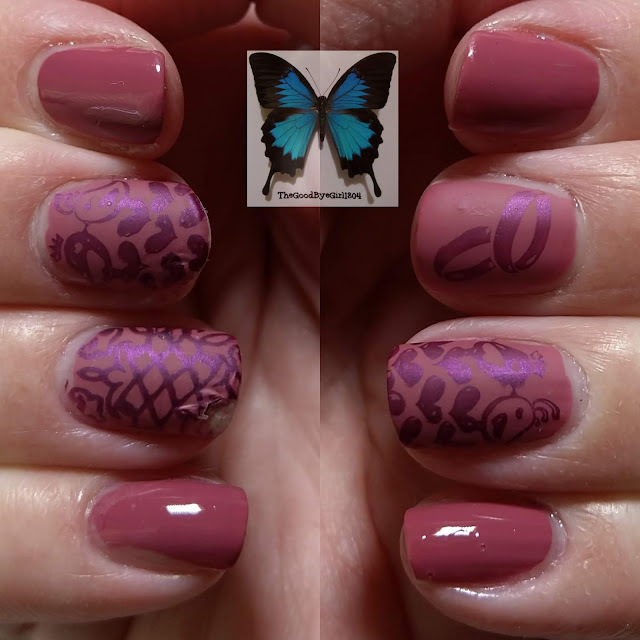 I stamped using Sally Hansen Pronto Purple which is an Insta-Dry formula and it stamped really well, I hope you can see the flash of blue shimmer in the shiny pictures. I then once again topped with Barry M Plumpy and then Zoya Matte topcoat.